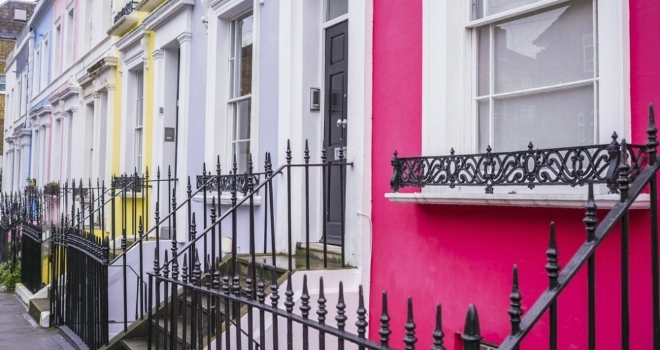 New research by ECA International has revealed that the average rent for a three-bed home in the capital now stands at £5,187 making it the most expensive place in Europe for expats to live. Against a backdrop of uncertainty around Brexit, demand for rental accommodation in London remains high due to many young professionals being priced out of owning a home within the M25. Although rental costs decreased in central London (zone one) this year, rent in outer London remained stable. London maintains its position in the top five most expensive for rental accommodation in the world (4th), followed by Moscow, Zurich, Geneva and Dublin. ECA's annual rental accommodation report analyses the rental prices for an unfurnished, mid-market, three-bedroom home in areas commonly inhabited by expatriates. According to this year's ECA housing report, the average rent in outer London is on the rise at £4,000 per month, whereas the average rent in central London has fallen to £7,000 for a three-bedroom apartment. Alec Smith, Accommodation Services Manager at ECA International, had this to say: “A polarisation of rent changes was observed between properties in central and outer London since the previous year. Rents fell in prime neighbourhoods in London travel zone one, with salaries for top jobs largely stagnant and demand waning. Rents in outer London were more stable but are anticipated to increase with London property purchases growing ever more out of the reach of many Londoners." The jobs market is relatively buoyant in the UK which has caused a general increase in demand for rental accommodation in some of the UK's major cities. Manchester continues to have the most expensive rental accommodation in the UK outside of London and has re-entered the top 120 most expensive in the world (119th) this year. Ranking 30th in Europe, average rent in Manchester for a three-bedroom home is now £1,844 per month, £54 more expensive than last year. Birmingham has seen the largest rental cost increase in the UK at a staggering £110 per month, and is the 36th most expensive city in Europe to rent in. Smith continued: “Central Manchester has seen a large population growth in recent years and is now widely considered the second most important city in the UK economically. Numerous companies have relocated to the city, fuelling demand for rented accommodation, particularly in central areas. Other than Central London, Aberdeen is the only UK city to see a decline in rental costs, dropping by £190 per month, however Glasgow remains the cheapest city in the UK to rent a three-bedroom home, costing on average £1,050 per month, £794 less than in Manchester. Rent in Edinburgh on the other hand has re-entered the top 50 most expensive in Europe, costing £1,529 on average per month and up £101 on last year. The ongoing decline in the oil and gas industry has reduced the number of overseas renters in Aberdeen. With remaining workers having their housing budgets cut, average rent levels have followed suit. Changes in Scottish legislation in the past couple of years have affected the supply of rental accommodation in Edinburgh while demand remains strong. Tax increases on the purchase of second homes have increased landlords' costs, while the phasing out of shorthold assured tenancies means many landlords have increased rents to cover the perceived greater risks in renting out their properties”.